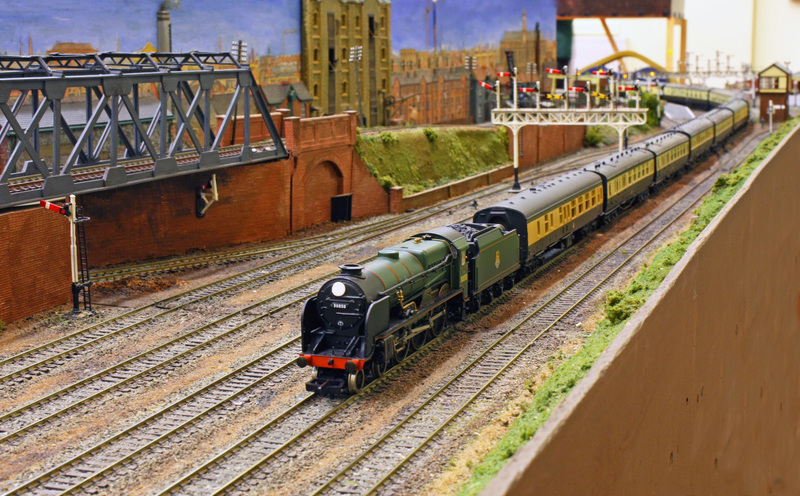 For this layout we are in the 1950s near a small fictitious town called Knightwood Junction. 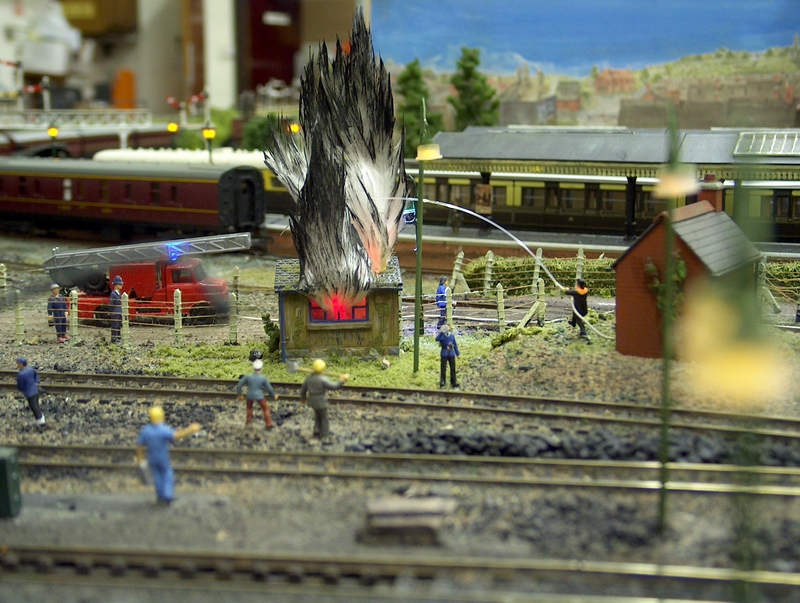 The OO layout depicts steam on the WCML suffering a diversion in the late 1950s with all trains having to take this route. Nearby is the secondary line that acts as a diversion for the WCML when engineering works are in progress. So there is great scope for a variety trains passing through the country station called 'Knightwood Junction'. The layout is a large continuous double tracked run with a footprint of 27' x 9' and requires four operators to control the station, passing loops and various sidings. It can be viewed from three sides and at the rear is a 13 road fiddle yard. The layout is fully signalled with Ratio upper quadrant signals, and several locos have been detailed or altered to types not usually seen. The main line has passing loops in both directions so that goods or slow trains can be looped to allow express trains to pass. There is a goods yard accessible from up and down directions where trains can be re-marshalled and sub-divided. There are yards with engineering and maintenance works. The branch climbs over a girder bridge to reach the village of Knightwood, this having a small yard, engine shed and private sidings serving a pump house with fuel oil. 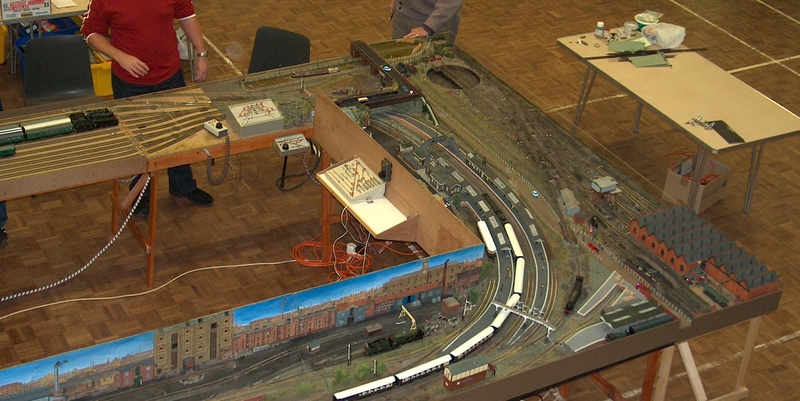 In the two back corners of the layout there are a canal basin with its associated sidings, and even a cricket pitch. Why not check how the local team score is progressing during the day? There are a wealth of details. 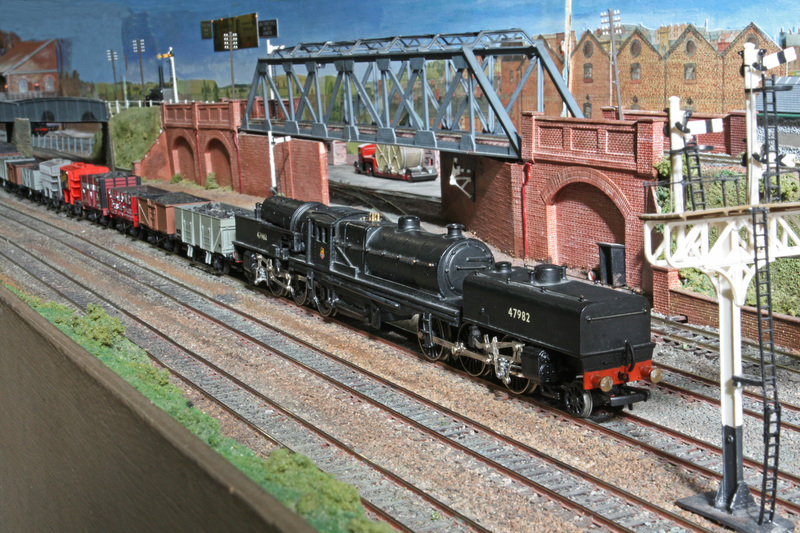 Knightwood Canal is a brilliantly detailed end to end OO layout that measures 10' x 3' overall. It's an industrial scene with a five road engine shed and 70' turntable And if all that is not enough, the layout can be operated in conjunction with Knightwood Junction although this major task is not used very often. The photo below shows Knightwood Canal on the end of Knightwood Junction. When Knightwood Junction and Kightwood Canal are run together fourteen coach trains - including sleepers - are seen as well as the usual nine or ten coach formations. And of course goods trains are shunting and passing through. Express train engine changes occur in the fiddle yard. 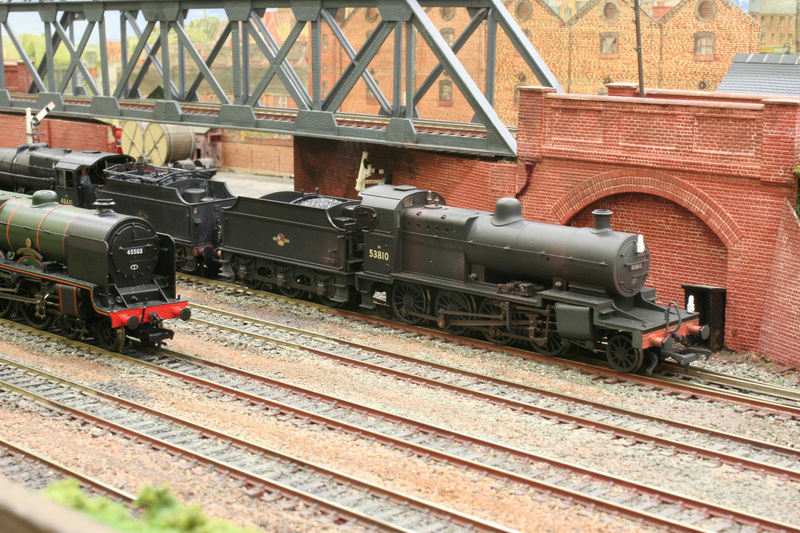 On both of these impressive layouts the stock is mainly proprietry models but some kit built and modified locos are presented. And for some variety, locos from other regions pass through as cross country trains or specials.